38mm Neck: Weight 15 Gms. We are offering a wide range of Condiment Spice Glass Jar 10 Oz to our clients. - Order Above 1000+ Pcs Will Be Solicited. We are engaged in manufacturing a wide range of spice bottle. This revolving rack offers you easy access to spices without taking up a lot of counter space. The spice rack holds 8 jars in slide-in-slots that keep the jars in place even with the rack is rotated. Each clear plastic jar features a spice-identifying lid so you’ll always know you have located the right ingredient. "Handmade candle with non toxic and bio degradable natural soy wax, infused with natural essential oils. The natural property of soy can lead to slight discolouration and variations in texture. This does not affect the performance or quality of the candle. " 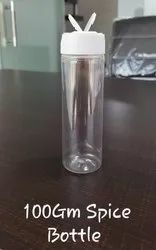 Shri Ram Industries Transparent Spice Jar Rs 6/200gm Pc. Shri Ram Industries Transparent Tubular... Rs 5.5/100gm Pc. Shri Ram Industries Transparent 100... Rs 5.5/100gm Pc. 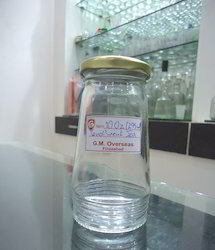 PET masala jar is manufactured from high quality PET. These are widely preferred for the packaging of herbs, bails, masala and other allied products.